Do I Still Have to Pay Alimony If I File for Bankruptcy? In filing for Chapter 7 or Chapter 13 bankruptcy, you need to be mindful that certain categories of debt cannot be discharged. For example, if you are divorced and the court ordered you to pay spousal or child support, you cannot escape these obligations through the bankruptcy courts. To the contrary, the federal bankruptcy code expressly exempts “domestic support obligations” (DSO) from discharge. This includes any debt “owed to or recoverable by a spouse, former spouse, or child of the debtor,” including a government agency seeking to collect a DSO on behalf of a qualified person. There are cases, however, where it is not immediately clear whether a particular debt is properly classified as a DSO. In fact, it may be necessary to conduct a separate proceeding in Florida state court to determine the scope of a DSO. A recent bankruptcy case from here in Miami helps explain this point. The debtor in this case divorced his ex-wife in 2013. A Florida court formally approved a marital settlement agreement (MSA) reached by the parties. Under the MSA, the debtor agreed to pay his ex-wife “lump sum alimony and child support” of $520,000 payable in multiple installments. After the debtor failed to make a required $100,000 payment on time, the wife moved in state court to hold the debtor in contempt. But a few days before the contempt hearing, the debtor filed for bankruptcy. 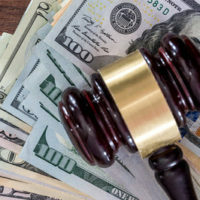 Despite the apparently unambiguous language of the MSA, the debtor now maintains the $520,000 represented an “equitable distribution” of the former couple’s marital estate rather than alimony. This is critical because an equitable distribution is not a DSO under the bankruptcy code. Furthermore, under Florida law a court can only issue a contempt order for failure to pay alimony, not an equitable distribution. The debtor asked the bankruptcy court to make a final decision regarding the status of the $520,000 obligation. The ex-wife wanted the divorce court in Florida to decide the issue. The bankruptcy court opted to defer to the state court. While the underlying legal dispute “is an issue of federal law,” the bankruptcy judge noted he has “broad discretion to abstain from hearing a proceeding in the interest of justice, or in the interest of comity with State courts or respect for State law.” Basically, a federal court should not, when practicable, second-guess a state court’s decision regarding a matter of “family law.” And given the state judge in this case has already held a hearing designed to determine the nature of the disputed obligation, the bankruptcy court decided abstention was prudent. Even in a Chapter 13 case like the one above, it is important to properly identify any enforceable domestic support obligations, since that will have a significant effect on the monthly payment plan submitted to the bankruptcy court. And if you are in a position where you are unable to pay a DSO–or any other debts–you need to speak with a qualified Miami bankruptcy attorney immediately. Contact the Law Offices of Julia Kefalinos at 305-676-9545 to schedule a consultation today.